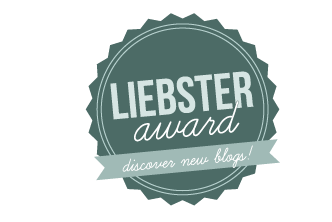 -Nominate 10 other bloggers for this award who have less than 200 followers. Here are the answers to the questions that Things I Hate Some I Like asked. 1: If you could be any historical figure who would you be? 2: Who would play you in a movie? 3: Which do you prefer The Jetson’s or The Flintstone’s? 4: What’s your favourite book? 5: What’s your favourite smell? 6: What’s the worst film you have ever seen? Hulk (Edward Norton version). You wouldn’t like me when I’m hungry. 7: What’s your second favourite animal? Capybara. Who couldn’t love a giant guinea pig? 8: What was your best Halloween costume? 9: What’s your dream job? I’d like to have a book published, but on a day to day basis I wouldn’t want to do anything different than I do at the moment. 10: What’s the best question you have ever been asked? Why do you still work in Subway? I used to manage one and when I couldn’t answer, I retrained in Sport. No disrespect to that industry as I think retail and catering are one of the hardest jobs in the world, but it was the best decision of my life. What I Want To Know from my Nominees! 1) As a teenager, what was your most shameful celebrity crush? 2) Pies, sweet or savoury? 3) Free healthcare, yes or no? 4) How many pairs of trainers do you own? 5) What is the drunkest you’ve ever been? 6) What is the most gadgety piece of sports equipment you own? 9) Have you had any tweets from celebs? If so who? 10) cat or dog person? This entry was posted in awards, Uncategorized and tagged Blog, Edward Norton, Fanny Blankers Koen, Flintstone, Liebster, Miranda Hart, Nomination, trainers. Bookmark the permalink. Not a problem you’ve got a great blog, keep it up! 2. Oh so definitely Sweet!!! 9. I don’t have a twitter account, but if I did I would love to get a tweet from a celeb who read my blog after looking up mountain running! 10. Absolutely, unequivocally dog person! Yes trail trainers do count lol. Great response!